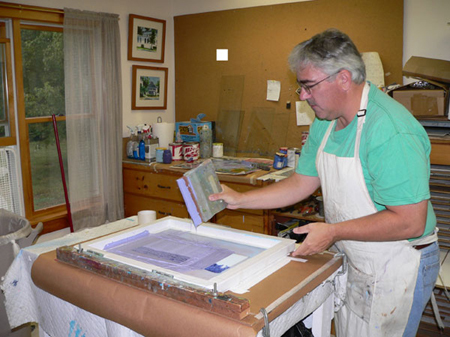 Silkscreening is a simple art process which produces color prints inexpensively. Silkscreening permits multi-color editions. It is versitile and can be done without expensive equipment. Edition quantities are limitless depending upon demand. 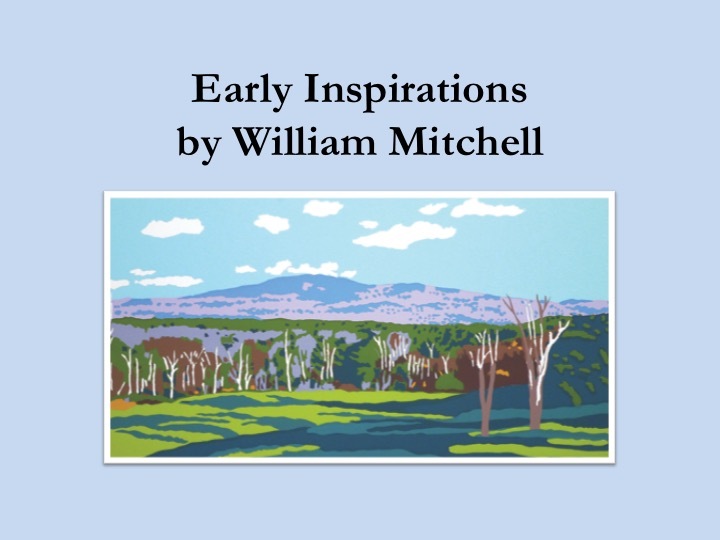 A good print can match a hand-painted original in color and quality. No matter how many colors, good registration can be achieved. The process can simulate the subtle transparent washes of a watercolor, or the heavy impasto of an oil painting. In the Figi Islands early man first used stencils to print textiles. Islanders cut shapes in banana leaves and then applied vegetable dye through the openings. The early stencil was used on quantity printing of religious pictures. The Japanese made skillful cut stencils with special waterproof papers. The central parts of intricate designs were held in place by ties of glue, raw silk, or human hair. Soon 4-5 color prints of good register were possible. In the Middle Ages stencil craft thrived both in religious prints and playing cards. The crusades helped spread stencil craft. In 17th century England, the stencil was used for flocked wall paper. The stencil was used to apply glue designs to paper. Fine Wool flock dust was sprinkled over the stickey paper to make an embroided design. Early American colonists used stencils to decorate walls and furniture. The idea of using a silk fabric as a silkscreen is credited to Samuel Simon of Manchester, England in 1907. Traveling teachers went town-to-town selling this process to local sign painters and display card writers. 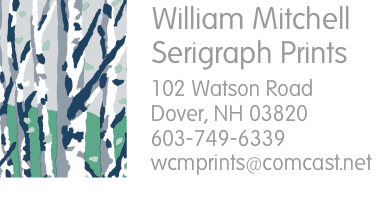 Silkscreening quickly became popular because it permited printing thousands of images directly on any flat material from one stencil. Soon these shops could compete on short run jobs with printers and lithographers. By World War I printing productions were stepping up. 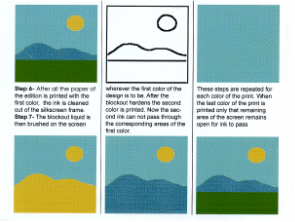 John Pilsworth of San Francisco developed the selectasine method by using one screen to print multicolor works by blocking out that area of the color already printed. The process answered the growing demand for inexpensive multi-color posters. Craftsmen experimentation further developed and improved silkscreening. Soon many techniques were in use including lithographic tusche, photostencils and cut film. The commercial aspects of silkscreening flourished, while the artistic remained dormant until Anthony Velonis and the WPA in N.Y. City were granted permission to create a silkscreen project. They brought the process to museums and galleries, and art journals dubbed these prints serigraphs. Source Silkscreening Techniquesby Biegeleisen and Cohn, published by Dover Books.